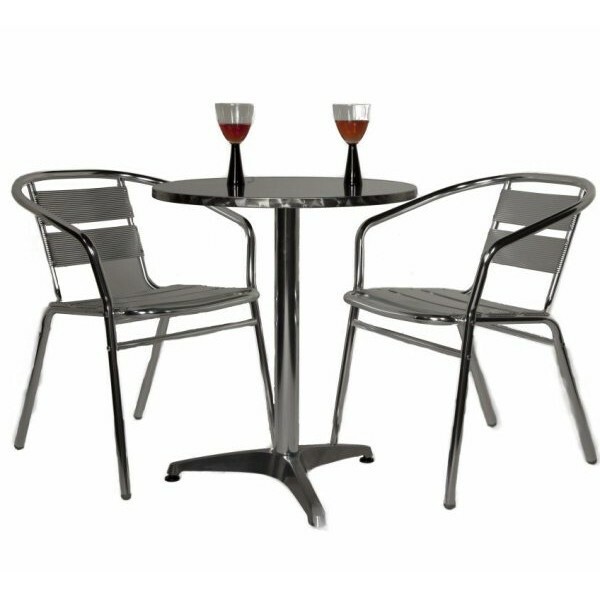 This delightful Aluminium Bistro Set is an ideal choice for smaller patios or for use on a balcony or small terrace. The 60cm diameter table is large enough for tea and cakes yet small enough not to take up too much space. 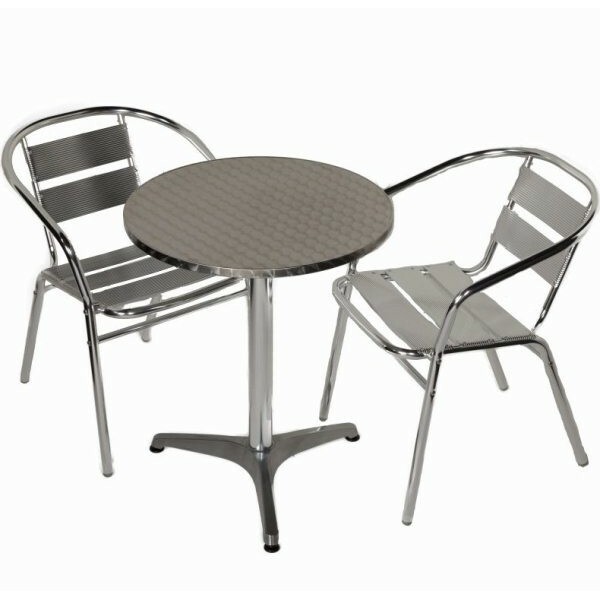 The bistro set is made to commercial standards so would be an ideal choice for cafes and bistros. Suitable for two people, this rust free set is very low maintenance and can be easily cleaned with soapy water. The chairs can be stacked for compact storage when not in use.